Facing flak for the misuse of its platform, WhatsApp today launched its first-ever TV campaign in India as part of its efforts to address the challenge of misinformation and pernicious rumours. The popular messaging platform earlier launched two phases of a radio campaign to create awareness among users. The first phase of the campaign was kicked off on August 29 with ads across 46 radio stations of the All India Radio (AIR) in states like Bihar, Jharkhand, Madhya Pradesh, Chhattisgarh, Rajasthan and Uttar Pradesh. The second phase of the campaign started on September 5 with radio ads across 83 AIR radio stations in Assam, Tripura, West Bengal, Gujarat, Karnataka, Maharashtra, Andhra Pradesh and Telangana, Orissa and Tamil Nadu. For the TV campaign, WhatsApp said it worked closely with filmmaker Shirsha Guha Thakurta to develop three 60 second films that each convey real scenarios about dangerous rumours that can spread among users. Timed to start just prior to the Assembly elections in Rajasthan and Telangana, the films will be available on TV, Facebook and YouTube in nine languages, the Facebook-owned platform said, adding that it would build on this effort to prepare for the 2019 Lok Sabha polls. “We’re humbled by the impact that WhatsApp had on people’s ability to freely connect with their loved ones. We recognise at the same time connecting people can also lead to the spread of misinformation, which has to be confronted,” said Bosco Zubiaga, who led the production of these films for WhatsApp. The rumours spread on the popular messaging platform which has over 200 million users in India have been linked to several lynching incidents in the country, forcing the government to send a stern message to the company. 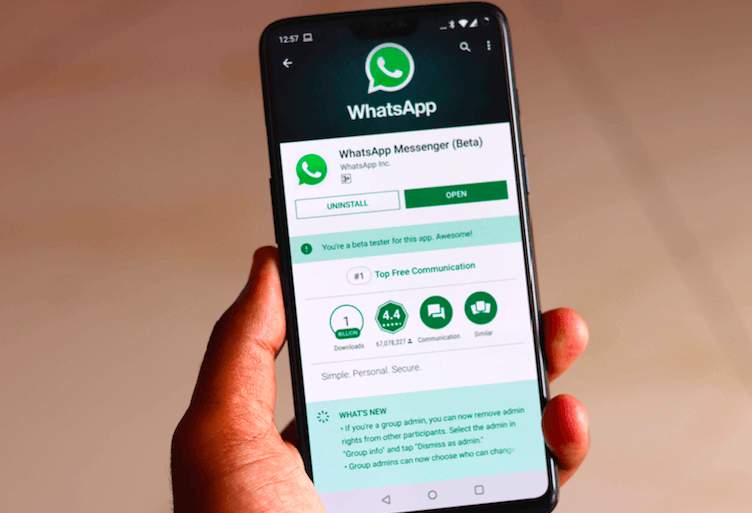 Meeting WhatsApp CEO Chris Daniels in August, Union IT Minister Ravi Shankar Prasad said that the platform must comply with the law and take “suitable” steps to prevent its misuse. Over the last several months, WhatsApp has made a series of changes including labelling forwarded messages to inform users when they have received something, not from their immediate contact and set a limit on how forwarded messages can be sent. In addition, it bans accounts that engage in an unwanted automated activity. “We hope this campaign will help educate people how to stay safe on WhatsApp,” Zubiaga said. Each film’s protagonist teaches someone important in their lives to not spread rumours and to use WhatsApp controls such as the ability to leave groups where rumours are spread and block unknown senders. As long as the IT cell and it’s associated fake news portals exist, whatsapp cannot do anything about this. Be smart. Let the cells disappear with the power of your index finger.